Iran, Jan. 16, 2019 - A year after the Dec/Jan 2018 uprising that swept over 140 cities across the country, this year there is a seemingly unstoppable trend of reports of protests coming from throughout the country. City railway workers in Ahvaz, southwest Iran, rallied on Tuesday protesting not receiving their wages. A group of fire fighters in Abadan rallied on Tuesday protesting not receiving their paychecks for the past four months and being denied pensions for 11 months. This gathering was held outside the governor’s office. Teachers of Yazd Province, central Iran, held a gathering on Tuesday, rallying outside the governor’s office, the Friday prayer imam’s office and the Education Department in the city of Yazd. In Isfahan, central Iran, farmers of the Khorasgan district are continuing to protest, demanding their rightful share of river waters for their farms. From a different perspective, Friday prayer imams – known to be voicing the opinions of Iranian regime Supreme Leader Ali Khamenei – are voicing deep concerns about the spreading nature of protests across the country. Every Friday, mullahs in various Iranian cities reflect the views and opinion of regime supreme leader Ali Khamenei during Friday prayers. In recent weeks, Friday prayer leaders have been increasingly focused on warning about the role of the Iranian opposition People's Mojahedin Organization of Iran (PMOI/MEK) in undermining the tyrannical rule of the mullahs. The mullahs are also showing their fear of the threat of popular uprisings and protests pose to their rule. Describing their regime as “Islam” and “Iran” and “the Revolution,” the Iranian regime’s Friday prayer leaders are warning about the “plans of the enemy” and “uprisings by the disenchanted population” against their regime. Mohammad Taghi Keramati, the Friday prayer leader of Golpaygan, spoke of an enemy that wants to “destroy the roots of the establishment” and advised officials not to become frightened and not to weaken their resolve. In Yazd, Mohammad Reza Naseri, whose sermon was being broadcast on social media, called on regime officials to be wary of rumors. “The enemy intends to cause mistrust in officials and the goals of the revolution through rumors,” Naseri warned. Other Friday prayer leaders tried to hide their fear and panic by expressing relief that the mullahs’ regime has not been overthrown yet. Others were not so quick to celebrate their regime’s survival. “As Iran puts the 40th anniversary of the victory of the Islamic Revolution behind, the enemies are trying to push protests toward strife by assembling working groups,” Yusef Ghassemi, the Friday prayer leader of Kangan said. Another theme that recurred in the speeches was the Iranian regime’s discontent and fear with the activities of PMOI/MEK abroad. Mohammad Ali Ale Hashem, the Friday prayer leader of Tabriz, described the MEK as “a group that has disagreed with the principles of the Islamic Republic for four decades and is seeking its collapse.” Ale Hashem expressed concern over the activities of the MEK in Europe and demanded the EU to “respond to the Iranian people about harboring [MEK members].” His laments were echoed by Friday prayer leaders in other cities. Friday prayer leaders are not the only authorities in Iran complaining about the turn of events against their regime. After the EU imposed fresh sanctions on an Iranian intelligence unit and two of its members, officials from the Iranian regime’s foreign ministry tried to save face by criticizing Europe for allowing the PMOI/MEK to hold gatherings and other activities on their soil. While over the years, the Iranian regime has tried to dismiss the role of the PMOI/MEK, its highest officials are regularly revealing their fear and consternation about the continued persistence of the Iranian opposition group in its goals and principles.  Whether implied or explicit, Iranian officials constantly warn about the role that MEK and the Iranian resistance units are playing in helping organize protests inside Iran and rally the international community against the nefarious and destructive policies and activities of the Iranian regime. The mullahs in Iran know better than anyone else who is their true enemy and the alternative to their rule.